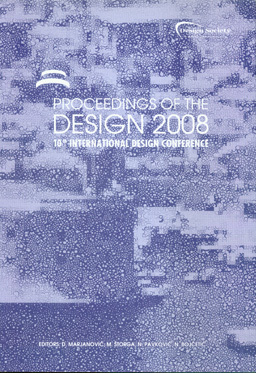 Since the early 80's the International DESIGN Conference has been actively involved in bringing together leading academics, researchers and practitioners, join in a common forum that stimulates the exchange of ideas, views and latest research and development in the field of Engineering and Industrial Design. 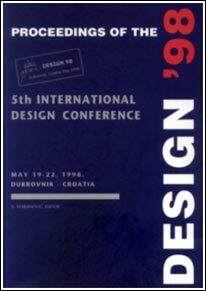 The first event in row called "Scientific and professional meeting - The Science of Design and Computer Aided Design" was organised in June 1981 at Faculty of Mechanical Engineering and Naval Architecture (FAMENA), University of Zagreb. Aimed to be a regular three-annual meeting of academia and industrial practitioners the first three events took place in Zagreb in a regular pattern with modest improvements but obviously getting attention from local professionals. The number of participants increased from event to event, and the industrial participants were almost evenly represented as those from universities. The event was planned as national, with "international participation". The first event took place after four generation of students have graduated with the "Product development and computer application" as obligate curse in the curriculum of ME designers. The course covered the methodical design, in the traditional approach, based on the work of Hansen, Rodenacker, Roth, Kohler and Beitz. The conference structure was derived from that experience with strong emphasise on implementation in industry demonstrated with the topic "The situation in the field of designing in our science and industry". The conference organisers invited professors Roth, Koller and Klose as representatives of the Methodical Design School. Although international participation was modest and the greatest part of proceedings published in Croatian language, the conference gets some attention. On the second event held 1984 under title "Symposium on Design", among limited number of international participants invited speaker was Dr. Vladimir Hubka with the contribution "Wissen Über Tchnische Systeme im Rahmen der Konstruktionswissenschaft". With this event the cooperation between conference organisers (Prof. Kostelić being conference president) and WDK was initiated. 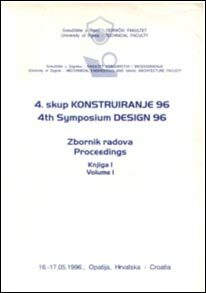 The influence of WDK could be noticed in structure of the third conference also titled "Symposium on Design", held 1988 in Zagreb. Opatija a town, harbour, tourist, summer and climatic resort on the foot of Mt. Ucka, situated at the eastern coast of Istria in the Rijeka Bay, 13 km southwest of Rijeka. The coastal region formed of limestone, in which Opatija lies, is protected from the north and northwest by Ucka. DUBROVNIK is situated in the southernmost part of the Republic of Croatia. Founded in the 7th century Dubrovnik is rich with cultural and historical monuments and is included in the UNESCO World Heritage list. The city is surrounded with the walls built between 11th and 17th century. The hotel PRESIDENT is the most luxurious hotel in the Babin Kuk complex. It has 7 floors with 163 rooms and 4 apartments, all of which have a balcony with a direct view of the Elafiti Islands. The four stars comfortable hotel offers air-conditioned premises, spacious rooms, facilities for business and conferences, restaurants, bars, leisure, sport and recreation. DUBROVNIK is situated in the southernmost part of the Republic of Croatia. Founded in the 7th century Dubrovnik is rich with cultural and historical monuments and is included in the UNESCO World Heritage list. The city is surrounded with the walls built between 11th and 17th century. CAVTAT, ancient Greek Epidaurum, is a small town 18 km away from Dubrovnik, and only 6 km away from Dubrovnik International Airport. With its rich and interesting past and natural beauty, full of sun and mediterranean vegetation, and with unique golden sunsets, this town can be easily compared to Dubrovnik. It is also a famous tourist centre. The hotel CROATIA lies in a beautiful position on a peninsula overlooking the Adriatic on one side and the picturesque old City of Cavtat on the other. The world famous medieval walled City of Dubrovnik can be seen from hotel terrace. The five stars comfortable hotel offers air-conditioned premises, spacious rooms, facilities for business and conferences, restaurants, bars, leisure, sport and recreation. Summarized discussions could be downloaded: ECODESIGN discussions. 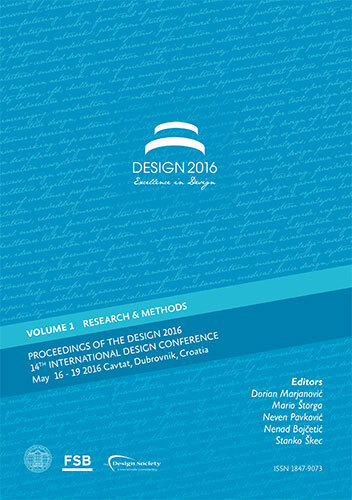 "Human Behaviour in Design" addresses important aspects of creative engineering design. the interaction between two complementary modalities - "image" and "concept"
The objective of the Ecodesign workshop is to work out with the participants how to design our products meeting the new requirements from environmental legisalation (e.g. WEEE, RoHS) as well as meeting new customer demands (e.g. Product Service Systems, PSS). Measuring the outcome of the conferecne has already been established at the conferences organized in conjunction with the Design Society. After all the vollunteering work organizers have put into the conference it may look like fishing-for-the compliments routine, but this is not the case. The participants of the DESIFN 2004 conference have been asked to evaluate the conference in more then 30 descriptive variables. The results of the valuation grouped in five categories concerning the quality of conference preparation, organization, materials, performance and content are shoen on the bar charts below. The ECO Design Implementation workshop is on the DESIGN Conference agenda for the third time in row. Traditionally workshop participants argue research methods and approaches aimed to develop products whose manufacture, use and disposal have the least practical effect on the environment. This year “instead of talking about research methods for environmentally conscious design”, workshop participants have focused on how they can apply many methods, mindsets and tools in industry” on a real product, the light switch made by a Croatian company, “Elektrokontakt”. In a way this is a start of the cooperation between the ECO Design SIG members and industry. A workshop Human Behaviour in Design has been organised as a part of the Design Society’s SIG on Human Behaviour in Design. This Workshop continues to be a forum where the latest research findings will be presented and discussed, building on results of an International Conference on Human Behaviour in Design, held in 2003 near Munich, and subsequent Workshops held during the DESIGN 2004 and ICED05. Human Behaviour in Design addresses the role of human beings related to their thinking and acting processes focusing on the research of the designers’ behaviour while designing and deriving support for the designer on the basis of this empirical knowledge. The objectives of the Modelling and Management of Engineering Processes SIG are to investigate and to evaluate significant influence factors that fix and improve the quality of engineering processes. Through the Workshop to be held under the SIG title the participants will discuss processes that form engineering including marketing, product development, production process planning, prototyping, and testing. The topics of the Workshop even solely illustrate the broadness of the engineering design research area, the diversity of tools we are using and wideness of the topics we are addressing to. 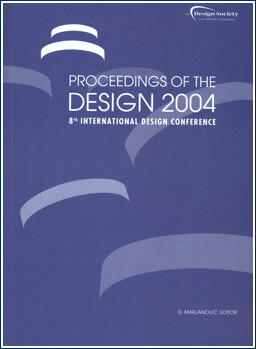 All members of the Design Society SIG Decision Making as well as all other interested participants of the Design 2006 were invited to attend the meeting organised by SIG chairs. The Engineering Design Science – Achievements, Applications and Perspective workshop addressed consolidation and perspectives of design science. Design theory and methodology treated as a research discipline have had a significant impact on engineering science, education and practice. Today, when engineering design faces new challenges the DESIGN 206 Conference is an opportunity where achievements could be consolidated, important fields of further research and its applications indicated and the potential co-ordination activities discussed. This Workshop was jointly organised by the Design Society’s SIGs “Design Theory and Research Methodology” and “Applied Engineering Design Science”. 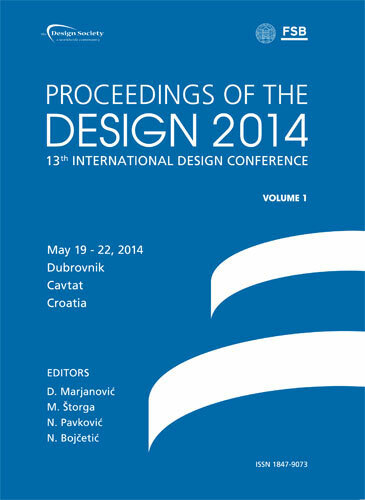 IMB & CADCAM Design Centar d.o.o. The workshop Human Behaviour in Design at the DESIGN 2008 conference focuses this year on different dimensions of team behaviour in design. 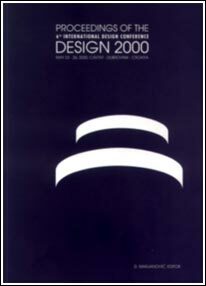 The choice for this subject doesn’t come as a big surprise, referring to Bucciarelli (1994) who stated that designing is a basic social activity, and the final outcome is the result of negotiation and compromise. Furthermore a way of structuring team processes and finally discussion on holistic approach which aims to cope with the challenges presented before such as knowledge sharing distortion in interdisciplinary design teams. Decision Makers are principally responsible for their company’s future. Approving the introduction of new products, processes or technologies often means to deal with hardly manageable risks. Helping developers and designers to find the best answers and to keep risks at a minimum is the goal of all efforts in scientific and applied decision making research. This workshop provided a platform to discuss different approaches trying to achieve this goal. This new expanded scope of design stimulated the use of knowledge generated in other disciplines like engineering, chemistry, computer science, electronics or physics, and more recently, biology, social studies, psychology etc. Industrial Design has shifted from a practice to a discipline. This shift brings along challenges to industrial designers, educators and researches alike. In this workshop, we addressed some of these challenges by exploring the questions related to industrial design. Mechatronics - the synergetic integration of different engineering domains such as mechanics, electronics and information technology can create new products and stimulate innovative solutions. Due to the interaction of domains the complexity of mechatronic products is usually very high. There exist methods how to deal with complexity but a lot of questions are still unsolved. What is the role of eco design in the community of the Design Society, in ensuring that this third wave of environmentalism comes, stays and grows into a sustained activity that actually makes change? In this workshop we had a change in approach, by turning our attention away from actual product improvements, and looking towards ecodesign application experiences and education competencies and planning, on which we will facilitate a debate. Design is a key part of any engineering education, due not only to that design is a central professional skill for any engineering discipline, but also due to that design projects re-inforce learning of disciplinary knowledge and provide a platform for training generic professional skills such as communication. Current industrial trends challenge design education by strengthening the need to teach design in a multidisciplinary and global context. In the workshop, we will discuss the key outcomes of design education along with innovative approaches to reach them. The quality of design research is an ongoing topic discussed in numerous meetings, workshops and conferences within our community. Although researchers, authors and reviewers make intensive effort to improve and ensure quality of contents as well as of contributions and presentations, there is no clear, distinct and commonly agreed understanding of it. What defines the quality of research? How can we grasp this quality? Is there a common ground within our community? How to compare qualities of different contributions? The workshop tries to capture the different viewpoints under which research quality, and in particular design research quality, may be seen by statements of invited experts working in the field of quality definition. Enriched by contributions of the participants the workshop aims to set off to a vision of a holistic understanding of the nature of design research quality and to cover further steps of how to approach this vision. The workshop addresses everyone of our design community, who is involved in teaching, supervising and reviewing procedures and who would like to get new insights or even to contribute to this challenging questions. The workshop idea arouse from the joint meeting of AB- and BM-members of the Design Society in March 2009 in Boston. Re-considering creative thinking in design: What kind of cognitive activities occur during idea generation and how do methods support these? This year the workshop of the SIG Human Behaviour in Design (HBiD) focuses on the discussion of cognitive activities which are relevant for the generation of ideas. Cognitive activities dealing with any kind of problem space can be roughly described as various combinations of four basic cognitive operations, generation and exploration enlarging the problem space and comparison and selection to narrow it. How can the idea generation process be described in terms of basic cognitive operations? How can this idea generation process be supported? Shah et al. (2001) distinguish two categories of methods to support idea generation, one is aimed to address intuitive idea generation, and the other is supposed to enhance the logical thinking processes. These thinking processes, intuitive and logical thinking, are supposed to be very different from each other in the sense that they are different cognitive processes but both types of activities are part of the design process and thus need to be synchronized. We will alternate between short presentations of the papers (about 10) and discussions following the above mentioned two questions: how is the process of idea generation described? Which are the processes the presented approach aims to support? What aspects are covered by education? Finally we hopefully gain more understanding on idea generation processes in design and further knowledge on the question what kind of limitations are to be considered on the one hand and which opportunities can be realized as successful support of idea generation in design. In continuation to the workshop held at ICED ‘09 in Stanford, the MMEP workshop will address the consolidation of views of the engineering process modelling research landscape. Feedback from the Stanford workshop will be presented with time for a discussion of the research roadmap that emerged from this and earlier discussions. In addition, a special focus will be on the practical challenges of modelling, handling and evaluating the dynamism and uncertainty of engineering design processes across a variety of engineering domains and the implications this has for researchers and their industry collaborators (participants will be invited to give short informal presentations (max. 5 min) of their respective views). The final workshop schedule is available on the MMEP home page. how to increase visibility of design results and design changes during this process. Invited short presentations from experts in the field of mechatronics will give initial information on the key research activities. Based on these presentations an intensive discussion is expected. The workshop wants to bring together people who work in the field of mechatronic-specific design science and provide them with a forum to present and discuss their ideas. World leading partnerships have been built through the development of collaborative design practices. Collaborative design is seen by many as an ideal mechanism for exchanging knowledge. When operating effectively, these partnerships have had a significant beneficial impact on productivity and the economy. Research to date suggests that collaborative design can raise strategic, operational, commercial, and cultural challenges and indicates eight broad reasons for collaborative failures. A detailed consideration of the mechanisms for successfully supporting the collaborative design process through a fundamental understanding of the conceptual elements of collaborative design (that require management and nurturing) is currently lacking. Can collaborative design be characterised? What are the key challenges and research priorities based on the current and future economic, cultural and social environment? The research agenda will provide the basis for considering the appropriateness of a Design Society Special Interest Group forming an international body of interest within collaborative design that possesses the desire and expertise to develop this research area. In modern products, processes, organizations, and markets, complexity is ever-present. It is often seen as an obstacle to designing and developing successful products and services. Complexity is, in the context of the SIG running this workshop, mainly understood as a highly integrated system consisting of different elements, the network structure of their relationships internally and to their environment, and the dynamics thereof. Managing the structure of a system as a means of complexity management tackles complex systems by looking into how a system is set-up internally, i.e. the constellations and typical patterns (=”structures”) of the elements and their relations. The interest of the workshop is to explore the strengths and weaknesses of the currently available methods for the management of structural complexity. To generate a roadmap that determines the perspective thereof, the current state of the art of different means of dependency modeling, the application of such models in research and industry, and the existing pool of methods to analyze such models will be assessed as part of the workshop to build a vision about how dependencies in technical systems can be better managed. The workshop is the follow-up of a first workshop held at the ICED Conference 2009 in Stanford, CA. The Computational Design Synthesis (CDS) workshop has now been formulated more generally to encourage participation of a wider range of people and perspectives. We hope that you will join us! Synthesis is a fundamental activity in engineering design and is at the heart of the early and conceptual phases. The synthesis process involves task formulation, design representation, design generation, design interpretation and re-interpretation, design evaluation, search and optimization. Principles and methods from computational design synthesis support the advancement of generative design and design automation tools as well as Knowledge-Based CAD and Knowledge-Based Engineering. This is the second workshop of the Computational Design Synthesis (CDS) SIG following the first successful workshop held at ICED ’09. The workshop will provide a means for researchers and participants from industry to network, exchange ideas, share expertise and find synergies in order to advance fundamental research, tool development and integration of methods in industry. Engineering culture, which changes slowly in established firms and is struggling to adapt to the relatively rapid changes of methods and workforce These changes have profound impact on the engineering profession, the ways we must develop engineers today, the kinds of jobs that engineers will have in the near future, and the challenges of engineering leadership. The term 'Design religions' could be deconstructed at least in two unconventional ways: 'designing of religions' and 'religions in design'. The words design and religion appear so disconnected that none of these combined concepts seems worthwhile to explore. Indeed, none of them is a topic studied in design research or that could interest design professionals or researchers. Despite that, sometimes such odd marriages lead to striking offspring. Similarly here, from a seemingly superfluous mental exercise that examines these interpretations, we find interesting common threads that lead to several observations about design practice and design research. These observations could have concrete positive consequences to design thinking and the way we practice design and design research. As neuroscientists reconfirm again and again human learning is the most complex process humans can think of. Approaches to effectively organize this process with respect to optimizing the value for the learner directly leads into the well known efficiency - diversity dilemma. To solve this problem design methods to handle structural complexity have been used to make individual needs more transparent. With production tools from the Theory of Constraints we are optimizing the flow of knowledge between knowledge sources and knowledge applicants. As human beings are the most essential parts of learning new roles for all participants have been invented and successfully implemented. Experiences and outcomes for new Master Programs at University level and a learning system for science and technology at secondary school level are discussed. Virtual Engineering involves the early, continuous, interconnected (process view) and integrated (system view) support of the development process with respect to coordination, evaluation, and ascertainment of the development results of all partners with the help of Virtual Prototypes. The use of Virtual Reality as a visualization and validation environment allows developers, distributors, manufacturers, and customers alike to virtually handle the future product from its specification to service and recycling and to realistically assess it with regard to features and performance. The subject of Virtual Engineering not only affects processes on the operative level but aspects of corporate and managerial development in particular, as well as the planning, development, implementation, utilization, and customization of IT systems. The accomplishment of this comprehensive interdisciplinary task requires new approaches that allow the integration of the dimensions methods, organization, and technology within the entire company. Before 2006 SAF (Otto Sauer Achsenfabrik GmbH) and Holland Inc. have been two successful midsize companies. Both were supplying their products into the heavy duty truck and trailer industry. By their decision to merge a broad variety of international market opportunities arose. With a minimal overlap in their product portfolios, serving the same customers in different markets – Europe and North America - it seemed that immediately 1 and 1 equals more than 2. This is the story about the obstacles that occur on the way to become an international company from a product engineering perspective. Inch and metric is by far not the only influence that could cause a headache. After finalizing the first international projects a review allows to identify factors critical for success. Cultural differences, local market requirements, not common systems, organisational changes and the integration process are just a few of the areas to look at. It is most important for Management to always critically analyse different causes of complicacies and constantly support the organisation growing together. And still 1 and 1 can equal more than 2 but success stories require intensive work. Focus of the lecture will be on the practical issues that companies face when trying to introduce innovation in their product development process, i.e. an industrial perspective rather than an academic analysis. The lecture will illustrate this theme with examples of current work of the lecturer as a design consultant for companies such as BP, J&J, and P&G, and from work as Head of Development of Dyson. Is creativity a design-discipline or general capability? How can different scientific approaches in the field of decision making be validated? On which level can they be validated and what are the limits of those scientific approaches? What are the consequences of decision making processes and how are strategically decisions connected to engineering decision? How can this complexity of dependencies described? How can different decision making situations be characterised and what are the key indicators for different decision making processes? In order to get into deeper discussion, some short presentations are planned: On one hand, we plan to get oral information about existing methods and tools that support the decision making process. That should help us, to understand the limits of decision making process. For the understanding of the characterization, consequences and complexity of decision making processes, we plan to get on the other hand some case studies from the Special Interest Groups (SIG) Collaborative Modeling, Eco Design and Management of Engineering Processes. Together with our partners from these SIG groups we will have an intensive discussion on applying decision making methods on the case-study decision making processes. Expected outcome of this workshop will be an understanding of chances and limits of existing decision making methods as well as the challenges for further activities on the decision making situation. Creative behavior is an important and interesting topic in design. This workshop aims to create a forum to discuss the characteristics and potentials of creative behavior from theoretical and methodological viewpoints. In particular, the workshop focuses on the question in how far creativity is specific to the particular design discipline such as architecture or is creativity a more general ability serving all kinds of different design disciplines? And if both aspects play a role, is that different for different design disciplines? Answers to this question relate directly to education and the issue to which extent creativity methods need to take into account design-field-specific elements. Two presentations of designers from different fields will provide answers to this question Dr. Thomas Howard (Technical University of Denmark) and Dr. Hernan Casakin (Ariel University Center / TU Delft). After this input, two short (5-7 min) comments of contributions of two other design fields will add further insights: Dr.-Ing. Dipl.-Psych. Bettina Schleidt (virtual product development, TU Karlsruhe, Germany) and Prof. Dr.-Ing. Christos Spitas (embodiment design/ TU Delft). Depending on the number of participants we will then divide the group into small groups for further discussion of those issues which came up in the previous presentations. The Collaborative Design SIG is new to the Design Society having been formally established in January 2012. Despite being new, the SIG already has 30 members from 12 countries and all researchers in the Collaborative Design community are welcome to attend the Design 2012 workshop to find out more about the SIG and participate further. The theme for this workshop is “Designing the Collaborative Design SIG”. Specifically, it will aim to build upon the existing SIG membership and focus towards defining the scope of the SIG. Furthermore, it will provide all those attending the workshop with an opportunity to gain an initial understanding of the specific areas that researchers within the Collaborative Design community are investigating and the particular research problems and challenges that are developing and can be addressed together as a community. The first hour will allow all attending the workshop to gain an overview of the research areas being addressed by the SIG chairs and it’s International Steering Group (ISG) through brief poster presentations. The SIG chairs and ISG members will be invited to prepare a poster that describes the Collaborative Design research that they have been engaged in to date. This will form the basis for those attending to discuss their work enabling a firm understanding of “who is doing what” and is in response to a need identified at a meeting held at the ICED’11 conference. The second hour will engage all attendees in mapping the scope of the SIG taking account the opinions and interests of the SIG group. The main output from this will be the formulation of a “scope diagram” clearly identifying the areas to be addressed by the SIG and contributing towards a definition of “who we are”. During the third hour we will explore key challenges and evolving research problems. Considerations will also be made for specific industry sectors, e.g. healthcare, biotech, defence, and how the SIG may engage with other types of partners for example: industry, service providers, consultancy etc. Furthermore, the opportunity to collaborate with other Design Society SIGS to solve some of these challenges effectively will be discussed. The workshop will represent the first stage of designing the Collaborative Design SIG by providing a mechanism for understanding the needs for the members. The importance of structural complexity in engineering design can be seen by applications like product modularization or change management. Most research work concentrates on analysis and optimization of system structures. For example, many clustering algorithms exist for product modularization. Today, acquisition of system structures is not a research focus. However, quality of information acquisition affects possibilities of analysis and optimization. Approaches on analysis and optimization of system structures mostly apply published or self created test structures. Published structures are often unsuitable for the specific context. And application of e.g. a cluster algorithm on self created structures impedes comparison with other algorithms. Whereas standard tests exist e.g. for genetic algorithms, applications in the field of structural complexity can not be benchmarked so far. The SIG develops benchmarks for testing and comparing approaches in the field of structural complexity. Benchmarks are classified by the application context (software, product etc) or optimization objectives (minimum process time etc). The benchmark pool requires adaptations over time. The SIG sets up a process for proposing, approving and implementing these adaptations. Not only benchmark structures, but also analysis/optimization results shall be provided. This allows comparing different approaches. During the DESIGN’12 workshop the state of development of the benchmark pool will be presented. And participants will discuss and decide on details for further implementation. How do members of the product development team from different disciplinary areas structure and interpret problems? What are the differences and similarities? How do product development team members from different subject backgrounds approach collaboration? How do organisational cultures impact on the way cross-institutional projects are conducted and their ability to be sustained? What challenges and opportunities do cross-cultural and cross-disciplinary teams provide for product development process and outcomes? How are product development processes managed in globally distributed design teams? How can the formal education of designers, engineers and other professionals be activated for effective engagement in distributed product development enterprises. What new opportunities are the digital technologies opening for ‘designers’ in areas of interaction, information sharing, communication and creativity? How are translating and transforming of design ideas/proposals from one medium to another affecting designer approaches? How might design processes change in response to these translations and transformations? Additional question of on-going interest is how are existing technologies for collaboration actually used by designers in distributed teams? Additionally, the workshop will aim at exploring how the use of existing technologies, relevant for the design practice is changing within distributed design teams. Product development has different target groups, among which the end user as target subject is of highest interest. However, the end user is integrated in different environments, e.g. legal, ecological, financial, cultural, which influence the key aspects of the end user's needs, wants, and wishes. It is the aim of this workshop to point out such different influences and to pave a way for a better understanding of their highly networked and intrinsincly multi-disciplinary structure. People interested in (integrated) product development, especially members of SIGs Decision Making, MMEP, Human Behaviour in Design, Collaborative Design, Design Creativity, Design Education, Cultural Design, Design values. Presentation of each participant about their views on end user issues and how they deal with these points in their respective work. In late 2008 the Factories of the Future initiative was launched by the European Commission. The initiative aims to support Europe's industry in meeting increasing global consumer demand for greener, more customised and higher quality products by converting to a demand-driven industry with lower waste generation and less energy consumption. Under this initiative the Europe encourages the rapid set up of industry-driven R&D projects for the years 2010-2013 under its 7th Framework Programme for research. The initiative is implemented as a public-private partnership with a particular emphasis on SMEs. Its total budget envelope is € 1.2 billion, with more than half of the funds provided by the public sector. The thematic content of the foreseen four annual calls has been elaborated in cooperation with industry and laid down in a multiannual roadmap. The "ICT-enabled Intelligent Manufacturing" part of this roadmap builds on a three-fold concept for ICT-driven factories, namely "smart factories" – based on shop floor optimisation through automation, "virtual factories" – supporting an optimal management of distributed factory assets and "digital factories" – addressing design, simulation across the total lifecycle. Eight R&D projects related to design aspects were selected in 2011 with a total public funding support of EUR 35 million. The talk will focus on first achievements of these eight industry-driven projects and will further provide a perspective for research and innovation in this domain under the Horizon 2020 programme. Erastos Filos is Head of the Sector "Intelligent Manufacturing Systems" at the European Commission. He coordinates ICT Programme activities in Factories of the Future and in IMS, a global R&D collaborative programme. Born in Greece, he has obtained an MSc in Physics from Hamburg University and holds a PhD from Constance University, Germany. After his university research he went to industry, first at Perkin Elmer Corp. and then at Bosch in Germany. In 1993 he joined the European Commission's ESPRIT programme to work as Research Administrator. Mr Filos is the author of over 40 research publications and has contributed to four books. Since the 19th century engineering increasingly became an academic discipline taught and further developed in technical schools and universities. Scientific and theoretical ambitions thrived in the new academic profession and prepared for an avalanche of spectacular innovations. But solving engineering problems remained a multifaceted, heterogeneous and difficult task, which could not easily be guided by standardized theories and practices. Quite to the contrary, engineering knowledge proved hard to be fully and adequately described and represented in neat theories (like in physics), taxonomies (like in botany), books (like in philosophy) or paragraphs (like in law). Engineering knowledge comprised many different types of knowledge and information, drew from many sciences as well as from practice and changed and expanded continuously. How did academic engineers attempt to tackle the problem of solving problems in the past and to this day? Many engineers sought to bring order into the complex and heterogeneous realm of engineering knowledge and practice. Some dreamt a holistic dream, pursuing the ambition to solve the problem of solving problems once and forever by shaping comprehensive and coherent design theories. The lecture will trace the challenges of engineering design and attempts to solve the problem of solving problems through 150 years of the history of engineering design. It will show that engineers suffered from and complained about the open character of problems in engineering design and created holistic visions of engineering theory suited to solve these problems. Matthias Heymann is Associate Professor for the history of technology at the Department of Science Studies, Aarhus Unversity, Denmark. His research interest focus on the history of environmental science and technology and the history of engineering design. He has published books on the history of wind power in the 20th century, on the history of engineering design, on the history of liquid natural gas and on the history of hydrogen as an energy carrier. His current research covers the history of computer simulation in the atmospheric sciences and the history of environmental research in Greenland. Recently, many managers and business people adopted Design Thinking as the new paradigm to increase their creative power and to broaden their repertoire of strategies in order to stay competitive and to survive the financial crisis. The design research community received this recent popularization of design thinking with some unease and the concern is that its uncritical deployment in contexts other then design represents a fad rather then a real opportunity for exploration. The discrepancy between these two views was the reason for us to set up a study in which we investigated the role of a designerly approach. There was no comprehensive definition of a designerly approach available. Yet, there exists a comprehensive body of literature on the particular skills and capabilities of expert designers. These formed the base for a card set that we developed consisting of 48 cards with each a drawing and a statement about the designerly approach. These cards enabled rich storytelling and were used while we interviewed our respondents. We interviewed 55 people, all with a proven track record within the field. From the interviews appeared that there was no card that was chosen by all respondents, nor there was a card that was left out by all respondents. So, our study did not bring us towards a definition of a designerly approach. However, what became evident is that the context in which a respondent acted played a major role in how the designerly approach was applied. The rich interviews with vivid stories allowed us to distinguish different images of a designerly approach which I will explain in more detail in my keynote presentation. Dr. Maaike Kleinsmann (1976) is assistant professor in the Department of Product Innovation Management at the Faculty of Industrial Design Engineering at Delft University of Technology in Delft, The Netherlands. Her research focuses on the collaborative aspects of design within innovation projects and design expertise. 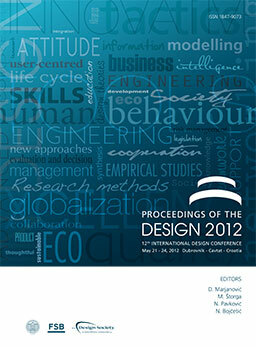 Kleinsmann published several academic papers on collaborative design, design communication and design expertise. Currently, she is the project leader of a research project entitled Developing a designerly approach to networked innovation. The research project addresses the specific challenges of networked innovation with the aim to develop designerly tools and interventions to better harness the potential of collaboration across organizations. The various roles that an editor plays are offered and described. Insights into the direction that research at the interface between technology innovation management and design is then given. The intent is to assist the researcher better understand the review process, positions research, and to offer a perspective on which areas research seems to be moving towards. Jonathan D. Linton holds the Power Corporation Professor in the Management of Technological Enterprises and is a full professor at the University of Ottawa. His research focuses on managing emerging technologies and on closed-loop supply chains. Linton's recent and current work with emerging technologies has focused on areas such as opportunity recognition, forecasting, valuation for decision support, recognition and assessment of technical competencies and managerial capabilities, process technologies and advanced materials (such as MEMS and nanotechnologies). Linton's past research in reverse logistics has focused on the modelling of end-of-life product flows. More specifically, he studied the nature of material flows and the implications of these flows to policy makers, businesses and potential consumers. More recently Linton has been working with colleagues on developing an understanding of the nature and magnitude of pricing differentials between new products and products that use post-consumer content. His research is supported by the Emerging Technology and Innovation Management Laboratory and has received funding from NSERC, SSHRC and other granting organizations. Work by Linton and his colleagues has appeared in journals such as Nature Materials, Journal of Operations Management, IEEE, Transactions on Engineering Management, Journal of Environmental Management, Journal of Product Innovation Management and Technological Forecasting and Social Change. He has over 100 publications in peer-reviewed academic publications and trade journals. He is editor-in-chief of Technovation and co-author of the book Principle Concepts of Technology and Innovation Management: Critical Research Models. Professor Linton is on the Editorial Boards of IEEE Transactions on Engineering Management and International Journal of Innovation and Technology Management and the Technical Advisory Board of Technological Forecasting and Social Change. “Publish or perish! Write and cite! H-Index and impact factor!” These are all terms that the international academic community increasingly focuses on and that we as researchers must both come to terms with and master, if our careers, research groups and indeed our research communities are to survive in increasingly competitive environments. In many countries and regions (e.g. EU), research funding is increasingly dependent on publications and research quality too. Most of the citation indexes have a clear favouring of quality journal articles, according to various specifications set by the individual indexing organisation. The challenge for a field such as ours is that Design Research has a low-journal and high-conference tradition; is typically more time-consuming to write articles on than many other fields; is a fairly young field of research; and (partly therefore) has relatively few quality journals associated. The Design Society has been working very hard over recent years, to ensure that the work we share with each other within the Society is visible to the world outside. Some of the latest results include: DESIGN’s entire proceedings are indexed in Web of Science (ISI); ICED11’s entire proceedings are already indexed in Scopus; and Thomson Reuters (ISI) have recently approved ICED09 for indexing – thus paving the way for future ICED proceedings in Web of Science. All of these results are thanks to the Design Society’s Board of Management, constantly plugging at these indexing organisations on our behalf. One relative newcomer to the whole citation and research indexing game is Google. Through Google Scholar, the internet search organisation is ploughing through the world’s university libraries, society websites and national research libraries and providing an impressive collection of academic literature hits per author. True to Google’s goal of making all knowledge available for all, this index is far more inclusive than ISI or Scopus. One may therefore question the credibility of such a search mechanism, but the fact is that Google Scholar is quickly gaining the position of favoured academic literature search machine by many academics and university libraries worldwide. To build on this service, Google has recently launched a Citations page service, where any author can establish a citations page in very few clicks, collecting and showing their citations, H-Index (according to Google’s measurements), publications, co-authors, and a number of other details. The Design Society is excited about this functionality and has approached Google Scholar, with a proposal of a new service that Google Scholar could provide to their users. Such a new service concept would comprise a platform where Google Scholar made it possible to collect and promote Design Society members’ profiles, their research and their papers. The Google Scholar team are excited about this idea and have agreed to carry out an experiment with the Design Society. The experiment will test a number of functions and services that could enhance our community’s research promotion dramatically on the internet. All we need are 200 current DS members to sign up, so that the experiment can become a reality. In this short presentation the concept that we have proposed to Google Scholar will be described and we will appeal to Design Society members to join in the experiment. See it as a design project - it will only take you about 6 minutes of your time to join in! Scania has taken another step in becoming a lean product development organization. The aim is to be able to meet the customers´ demands even faster and continuously improve the quality and secure innovations at an early stage. To succeed with this, high emphasize is put on an active and present leadership every day. The Scania Product Development Process has main areas: Concept Development, Product Development and Product Follow-up. Our Concept Development is characterized by being iterative with the aim to secure a technical concept. The work is done in small experienced teams and is focused on finding the right concept solution. By working in this way we are able to create an environment that inspires innovation. Our Product Development is characterized by delivering quality on time, the aim is that 9 out of 10 projects finalize on time. Our Product Follow-up is focused on quickly solving unexpected problems that occur in the field. Visual and every day management is an essential part of our strive to become successful. Principles guide the organization. Empowerment and involvement of every individual are in focus and our leaders are actively involved in the every day work. In practice, our engineering teams meet every morning to follow-up yesterday´s deliveries and to plan today´s work. Clear objectives are important so everyone knows what to do and at the same time we empower individuals to make decisions within their own area of competence. A clear and solid escalation routine applies when we are not able to meet our daily commitments. A well integrated work with continuous improvements puts the basis for further improving the quality. Scania does not have a quality department, but better everyone is responsible for the quality and to make improvements. This way we proudly can see that every truck that leaves the production line is a little bit better than the previous. The Engineering society and profession is undergoing changes and is more and more influenced by market needs, wishes and going global. This is independent of branches and industries and further driven by the internal company and enterprise history and strategy as well. The presentation will give a short overview about the Systems Engineering approach and definition and will compare it with the authors understanding of design and product development based on the practical experience form different industries. It has to cover the life-cycle from market need until disposal and taking into account the processes, methods and tools including the human factor within this time frame. It will show the commonalities and differences as well as the opportunities for our engineering future to satisfy the changes and drive them instead of following the program and product managers’ directives. The presentation will provide a proposal to bridge the methods and all other mentioned technics to handle complexity and the model based Systems Engineering approach. Sven-Olaf Schulze holds a diploma in Aerospace and Space with a focus on aircraft structure and light weight design. He has been working in the space/aerospace industry since 1996 with project responsibilities in Ariane 4, Ariane 5, ISS, MIR, Airbus A380 and A400M. His field of operation covers quality and product assurance, material qualification, static and fatigue aerospace testing and the development and production of complex systems. From 2009 until mid of 2010 Sven-Olaf joint Berner & Mattner Systemtechnik GmbH where he was in charge of the Aeronautics team and the Hamburg office with customers from aerospace, ship building, renewable energy, navy and general mechanical engineering. Since August 2010 he joined Suzlon Energy GmbH as the Vice President Systems Engineering in the Technology Group. Since 2007 Sven-Olaf delivers a lecture in Systems Engineering at the University of Applied Science in Hamburg. He is a member of the German Chapter of INCOSE and was from 2003 onwards the Vice President. He has been the president of the German Chapter of INCOSE since 2008 and since 1 year he is representing the REGION III within the INCOSE member board. DESIGN 2012 Industrial forum will offer a platform for debate among decision makers, practitioners and academics about the future of design research, needs and expectations from the industry. Companies that have consistently invested in research and development have been seeing their competitiveness increase. The global operation paradigm has raised new questions. Innovation, sustainability, environmental awareness, social, and governance issues are becoming driving forces of new product development. The design research is maturing into an overall and consistent theory of engineering design, but the results still seem to be used by industrial practitioners in a fragmented manner. DESIGN 2012 industrial forum will be an opportunity to discuss industrial views, needs and expectations of design research tracing emerging trends in industrial innovation and the right strategies for a sustainable future. The forum will be opportunity for the companies from the region and Europe wide to present academia their research and development capacities and potential to be involved into the future joined projects. This is a new innovation for Design2012. Organizers and debaters expect the audience will actively and lively participate in this event that is organized for the first time and hopefully not the last time at DESIGN conference. The purpose of the debate is to investigate in a forensic manner some key topics that affect the engineering design research community. This will be achieved by key players in the community presenting evidence for or against a particular topic. Formate: The topic will be proposed and then opposed in detail by eminent members of the Engineering design research community (8 minutes each), Supporting statements, seconding the two viewpoints will then be given (4 minutes each). The floor (the audience) will then be asked to question the proposers and opposers. There will also be an opportunity to present additional viewpoints and positions on the topic. Preference will be given to those who have submitted to the moderators in advance. A vote will then be taken to see which side has “won” the debate. Supported by: OSA Softver d.o.o. 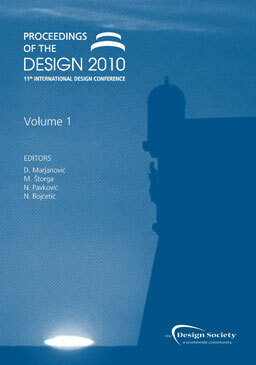 Research within the DESIGN community offers many possibilities of exchange and collaboration between fellow researchers. While these opportunities cover a broad scope from young researchers to senior members of the community with a range of research interests, we aim to support the specific needs of PhD students. The forum will be an opportunity for PhD students to discuss their research questions and ideas with experienced researchers, practitioners and R&D managers in order to facilitate their research efforts. Therefore, small discussion groups will be organised in which individual research topics are presented to and discussed within the group. Discussion groups will consist of 5-6 PhD students and 1-2 experts. Personal questions (1 or 2) for discussion, e.g. Currently, most hardware products are designed for a one-time value. Their values are evaluated at the time of delivery. Hardware is developed to meet the design requirements and it is developed to realize these fixed functions of a final product. And its development is basically one way, or an open loop system. But software is developed in a very different way, i.e., in a growing function way. Software developers constantly accept feedbacks from their customers and they upgrade their system step by step. This way of incremental improvements allows the customers to get accustomed to the system more easily and get confident in much shorter time. And they can provide better feedbacks, because they become familiar with it. Such lifetime value based product development will develop attachment to the product. The product lifecycles are getting shorter and shorter to cope with the quick changes and growing diversifications. But if we introduce such a closed loop way of product development, customers will be more attached and affectionate to the products, and they will enjoy using our products much longer. To such product development in hardware, we could introduce systems approach, where common platform or primary system does not substantially change over time while sub-components are changed from time to time to satisfy our customers more emotionally. This approach to change can be driven by collaborative design decision making processes, or even by new personal design and fabrication paradigms, which would lead to a more democratic view of creative design. Then, we could reduce consumption of energy and resources and reduce cost, and multiply emotional satisfactions of our customers. Among the issues that characterize the earliest stages of product development, a critical dichotomy is constituted by the conflict between the need to enlarge the design space through the creative exploration of new opportunities and the necessity to preserve the efficiency of the overall process by limiting the number of concepts to be investigated and assessed. From this perspective, the selection and prioritization of new ideas during the initial phases of the product development process is a hot topic both for scientific and industrial debate. Indeed, the selection of promising ideas represents a decision making process which can be characterized as complex, dynamic and multi-staged process which has multiple and often conflicting objectives as well as involves different groups of decision makers. Due to the complexity of this innovation process, there is no single approach for making decisions or understanding innovation that is suitable for all situations. The first group has to work at the interface between the creative challenge exploration and the generation of ideas and therefore has to think about the question “How can decision making techniques help to formulate the borders of the design task so as to avoid hindering the generation of creative solutions?" Expected outcome of this workshop will be an understanding of chances and limits of existing decision making methods for the idea and innovation management process, as well as the challenges for further activities on the interaction between creative idea generation anddecision making. To stimulate an exchange of ideas and a discussion of the mentioned issues before and after the workshop, we invite you to join our Decision Making Group at LinkedIn. This gives you the opportunity to share knowledge with other scientists worldwide as well as to receive the latest news of the SIG DM. What are the findings and cutting edge of innovation and creativity research? What are the issues in sustainable design practice and methodology? How can innovation techniques and creativity theories be extended to the very real, wicked problem of sustainability? Is sustainability about breaking fixation? Workshop participants are invited to explore emerging areas at the interface of engineering design innovation and sustainability. Expert participants are encouraged to apply and submit proposals for 5-minute presentations of the most exciting, relevant topics in their field. After debating and sharing the state of the art in these two fields, participants will engage in practical discussions as design teams solving a sustainable designette. The designette will serve as a prompt for an in depth discussion of current and future research in sustainability and innovation. Participants will leave this workshop with an understanding of emerging areas for future research, a network of collaborators, references to major works in sustainability and innovation. Content organizers: Maud Dufrene and Mendy Mombeshora. Brought to you by the Eco-Design SIG, The Bench Game is a unique interactive game-based workshop that combines product design, environmental and supply chain issues with the aim of introducing participants to both the practical aspects of eco-design and the wider business considerations necessary in the implementation of environmental product development. The game is based on the G.EN.ESI methodology (www.genesi-fp7.eu), which supports companies in the integration of environmental considerations into their product development process. During the workshop, the participants will be introduced to the G.EN.ESI methodology before the commencement of the game. Exercising the knowledge gained through the prior presentation and reflections on their own experiences of industry based eco-design implementation, the participants will partake in The Bench Game. To kick-start the game, the participants will be divided into groups, with each group representing a design team in a manufacturing company. After being split into groups, the facilitator will commission a re-design of a bench, based on a provided base-model, which has particular environmental performance improvements. The groups must work collaboratively, with each team member assuming a pre-defined role, to successfully redesign the bench to ensure an improved environmental profile based on the LCA results of the base-model. Through the addition of a supply chain arm to the workshop, the attendees will be able to learn a bit more about the importance of the supply chain during the environmental product development process and experience first hand what some of the challenges associated with sharing information with your supply chain when practicing eco-design can be. During the game, the participants will have control of the entire re-design process in a real time interactive environment; this exercise will simulate the real life complexities of eco-design within a product design team in a modern business environment. The workshop’s team based structure will facilitate the attainment of a high level of knowledge sharing and networking which the Eco-Design SIG’s workshops always strive to achieve. Following the game, a discussion session will be held to reflect upon the methodology and the interactive exercise. The workshop will conclude with the Eco-Design SIG reporting on its business since ICED13 and planning activities for the coming year. PSS has been a growing research activity in the Design Society over recent years. Both the DESIGN and ICED conference series have experienced a large increase in the amount of PSS papers submitted, which reflects the growing number of research projects active in this area. As an initiative to engage the active researchers in this area and to make a first attempt at charting the PSS knowledge in the Design Society, the organisers of the DESIGN conference have initiated a PSS workshop at DESIGN 2014. The Technical University of Denmark, which has been actively researching in PSS since 2000, has agreed to host this first workshop. The PSS workshop will begin by presenting the results of a charting exercise, showing all of the PSS contributions at DESIGN and ICED over the past decade. Through an exercise subgroups will organise the charted contributions into PSS research aspects and we will map the coverage and the gaps in the Design Society’s PSS research performance to date. A second exercise will use a PSS case from the Danish maritime industry to organise product and service offerings into PSS concepts, leading on to a discussion of the vital elements of a whole PSS concept. Finally we will facilitate a discussion of the need for and interest in a follow-on PSS research activity within the Design Society. A considerable faction of the effort involved in the developing new products, is concerned with the effort of managing large teams of engineers with different backgrounds and goals. The workshop will discuss challenges that the engineering community is facing managing the development of complex products and the challenges that we are facing as a research community in supporting them. The workshop will gather members of the MMEP SIG and other interested researchers together to identify issues that we have encountered and to gain an overview of who is working on which problem. The aim is to help researchers to get in touch with each, share information, ideas and references to tackle these problems. From previous literature it has been established that there is actually a low uptake of engineering design methods in industry. Furthermore, it has been shown that the uptake of Robust Design approaches has been very low, even relative to other engineering design methods! This could be down to at least two factors, firstly the methods are on the whole, slow, labour intensive with steep learning curves, secondly there is little understanding as to when and where these methods are appropriate to use. At the most recent workshop at ICED13 the tools associated with robust design were mapped onto the product development process by members of the special interest group. It was clear that there was disagreement and ambiguity with respect where the various robust design tools and methods are placed on the product development process. Whether feasible or not, there is a definite need for a robust design process that can be used to guide product developers to greater quality outputs. This workshop will therefore focus on placing robust design approaches onto both generic and company-specific, product development processes. The workshop organising committee will gather several product development process models from industry along with one or two generic process models. The tools and methods will be sourced from the list developed during the previous workshop, but participants will also be encouraged to place their own approaches onto the process in terms of where they are applicable. The second half of the workshop we will try to synthesis a prescribed Robust Design Process. Participant are also encouraged to come with proposals that can be presented during the workshop. Towards the end of the workshop some time will be dedicated to the running, organisation and administration of the robust design SIG. Call for presentations at the Risk SIG online meetings. Discussion of possible presenters to be invited. Ingo Ederer: 3D Printing - Design Without Limits? The talk will investigate the relationship betwen the process and results of Research and Design using an Information Systems perspective. Using a Design Science framework that relationship will be analyzed on a software, product, product service system and service ecosystems level as well as from a managerial point of view. The analysis will show how different modes of reserach are interlinked and why the stance of engaged scholarship supports the quest for really usefull rigourus research (RURR). Helmut Krcmar is Professor and Chair of Information Systems at the Department of Informatics at Technische Universität München (TUM) since 2002. He served as Dean, Faculty of Informatics from 10/2010 until 09/2013 and is a member of the Faculty of Business Administration. Since 2004, he is a member of the Program Faculty of the Bavarian Elite Graduate Program „Finance and Information Management”. He served as Academic Director of the Executive MBA “Communication and Leadership” he now is Academic Director of the Executive MBA “Business & IT“ at TUM Executive Education Center. He was appointed Board Member of the Center for Digital Technology and Management (CDTM) at TUM in 2004. Helmut’s past work experience includes a Post Doctoral Fellowship at the IBM Los Angeles Scientific Center, Assistant Professor of Information Systems at the Leonard Stern School of Business, NYU, and at Baruch College, CUNY. From 1987 to 2002 he was Chair for Information Systems at Hohenheim University, Stuttgart. While at Hohenheim, Helmut served as Dean, Faculty of Business, Economics and Social Sciences. His research interests include Information and Knowledge Management, IT-enabled Value webs, Service Management, Computer Supported Cooperative Work and Information Systems in Health Care and E-Government. He is President-elect of the Association for Information Systems (AIS) and chairman of the national E-Government Compentence Center, Berlin. Research activities in Engineering Design have traditionally focused upon supporting industry through a better understanding of design activities, design processes, products and the engineering designers themselves. This understanding provides the basis for tools and methods to create better product and faster processes. As industry needs change, new demands are set. This talk discusses the implication for possible future needs from the engineering design research communities and, how these affect the problems we choose to research and, the methods we employ. Saeema Ahmed-Kristensen is a Professor in the Department of Management Engineering, Technical University of Denmark and leads the Design, Engineering and Innovation research section. She was the first female professor in the Dept. and one of only a handful across the university, and hopes to inspire female academics and engineers. She conducted her Ph.D. at the University of Cambridge, where she was also an Engineering fellow of Edward Murray College. Her research interests focuses upon engineering design to develop tools and methods to improve design synthesis, creativity, support global product development and provide decision support throughout a product’s lifecycle. She has over 100 reviewed publications and works in close collaboration with industry, from aerospace, oil drilling equipment, medical devices, to consumer products such as headsets. A multidisciplinary approach including computer science, engineering and psychology is adopted to research. She is also actively involved in education as Director of studies for the Design and Innovation Master’s Program. The Mountain Trike is a revolutionary all terrain wheelchair designed to give wheelchair users far greater freedom and independence to access and enjoy the countryside. It is the brainchild of British design engineer Tim Morgan who was inspired by his love of Mountain Biking to develop a true manual all terrain wheelchair that would enable wheelchair users to ride off road in the same way he does on his bike. He identified a significant gap in the market for a manual wheelchair that was off road capable, but also combined this performance with everyday practicality in order to fit into the person’s lifestyle. Over a period of 4 years, the Mountain Trike was developed from Tim Morgan’s Final Year Masters Project at the University of Bath to a fully certified product launched to the market in August 2011. Since then the product has been very well received with sales avenues developed worldwide and manufacture facilities setup in the UK. This keynote address outlines the processes used and the challenges faced in this journey from Project to Product. Bentley Motor Cars, 2007 – 2010: Design Engineer. Involved in optimisation and development of the Continental GT power steering system. Later involved with design and development of the Instrument panel (dashboard) of the new flagship Mulsanne. Experience gained in CAD design, prototype to final product development, and test and validation techniques. Mountain Trike Company, 2010 – present: Managing Director. Inventor of the Mountain Trike All Terrain Wheelchair. Experience gained in development of a concept to a final product, certification testing, legislation, finance, purchasing, manufacturing, marketing and sales. Title: 3D Printing: Design Without Limits? Triggered by the availability of highly affordable personal 3D Printers, the 3D printing industry is attracting wide public interest in a similar way to the attention internet based applications attracted in the late nineties. The reasons for this are clear: 3D printing promises accessible, individual product design in connection with a fully automated print process and easy handling. However, the promise of personal 3D printers is limited with respect to build size, scalability and choice of materials. In such cases, voxeljet can offer a viable, industrial solution. With its unique 3D platform, voxeljet provides the largest commercially available build volume, together with industrial grade materials. The presentation provides an overview of current and possible applications, and gives an insight into future developments in this space. Dr. Ederer Founded Voxeljet AG in 1999 and serves as its Chief Executive Officer and Member of Management Board. He built voxeljet up from the start-up phase to become a leading provider of 3D printers for industrial and commercial customers. Dr. Ederer started his career as researcher at the department of precision engineering at the Technical University of Munich. He contributes more than 20 years of experience in the 3D printing equipment market and is a holder of more than 50 patents in the field of 3D printing. He received his Ph.D. in 2000 and was named „Entrepreneur of the Year“ by the Technical University of Munich in 2013. On behalf of the European Commission, the Design Council and the consortium of 13 other partners, are delivering the European Design Innovation Platform (EDIP) for three years from January 2014. The aim of the EDIP is to raise awareness and build capacity for design among SMEs, the public sector and policy-makers through a programme of engagement as well as an online platform. One of the sub-themes of the platform is to promote the economic value of design to a range of different sectors. The project will raise awareness of examples that show how design-driven innovation is being used to drive business growth and boost job creation across Europe. Design Council’s recent evaluation report, Design Delivers for Business, shows that every pound invested in design by SMEs translates into over £4 net operating profit, over £20 net turnover and over £5 net exports. Businesses that invest in design have about 50% better long-term financial performance than their peers. 21% of European companies are already using design as a strategic means to encourage innovation and the EU's design sector has an annual turnover of €36 billion. The EDIP aims to increase this by promoting the adoption of design as a driver for competitiveness, prosperity and well-being across the EU. The platform will act as a one-stop-shop for anyone interested in finding the latest tools and techniques for applying design, making connections with peers, and finding the latest research. By developing a digital platform that will bring together knowledge and examples of innovation design from across the EU, EDIP aims to create a space where those wanting to know more can connect with each other. It will also work alongside a programme of events for European business people, public service managers, and policymakers. This will increase their awareness of design’s role in innovation and growth, and enable them to put what they learn into practice. All parties who are interested to be part of this project can register their interest on www.designplatform.eu . Claire Fennelow is the Programme Lead for the European Design Innovation Platform at the Design Council. The platform specifically targets businesses and public services and aims to raise awareness and capabilities to undertake design-driven innovation across the European Union. Prior to joining the Design Council, Claire spent 7 years at D&AD (a not for profit organisation representing the creative industries) as Director of Education and Development, creating programmes for design student, graduates and industry. More recently, she worked as a consultant in the events industry managing both content and logistics of large scale events. Organizers and debaters expect the audience will actively and lively participate in this event that was introduced successfuly for the first time during DESIGN 2012 conference. The purpose of the debate is to investigate in a forensic manner some key topics that affect the engineering design research community. This will be achieved by key players in the community presenting evidence for or against a particular topic. Format: The topic will be proposed and then opposed in detail by eminent members of the engineering design research community (8 minutes each), supporting statements, seconding the two viewpoints will then be given (4 minutes each). The floor (the audience) will then be asked to question the proposers and opposers. There will also be an opportunity to present additional viewpoints and positions on the topic. Preference will be given to those who have submitted to the moderators in advance. A vote will then be taken to see which side has “won” the debate. The forum will be an opportunity for PhD students to discuss their research ideas and their key issues with both experienced researchers, and younger researchers (who have just finished dealing with many of these issues and can offer tangible help and advice) in order to facilitate their research efforts. Therefore, small discussion groups will be organised in which individual research topics are presented to and discussed within the group. Discussion groups will consist of 5-6 PhD students and 1-2 experts. Participants will be asked to make an A3 poster introducing themselves and the project/issues. Instructions and a template will be provided after acceptance for the forum. 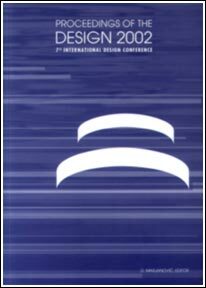 The PhD Forum is aimed at PhD students participating at the DESIGN 2014 conference. To facilitate meaningful discussion it is essential that potential participants should already have defined their PhD research topic, undertaken an initial literature study and formulated aims and objectives. To apply, please send an email before April 15th to PhdForumD2014@fsb.hr with Subject PhD Forum. The number of participants is limited so please e-mail as soon as possible if you are interested, as participants will be selected on a first-come first-served basis. Additionally the number of participants from a single department may be limited. Participants will be informed about acceptance and necessary preparations on April 30th. Associate Prof., PhD. M. E.
Assistant Prof., PhD. M. E.
It is advisable for any scientific discipline to reflect on achievements, deficits and future challenges from time to time. This is especially useful in a field like design research which is subject of rapidly changing technical, economic and societal paradigms. 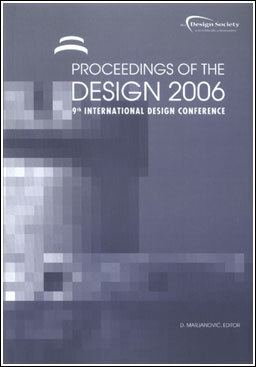 The design research community held a workshop on “Engineering Design Research – Achievements and Perspectives” at the 9th International Design Conference – DESIGN 2006. The topic was again discussed in a smaller circle at the annual meeting of the Advisory Board and the Board of Manage-ment of the Design Society in Rome 2011 (results see the Design Society White Paper 01/2012). A brief reflection on the forecasts of 2006 – are they still valid? Which goals were achieved, which were not achieved and which were overlooked? Using the white paper as basis: What are the topics for 2026? After short statements about past results and various perspectives on design research, we expect – formalised as well as unformalised – contributions of the next generation of researchers and thought leaders about their view on future directions. Design becomes closer to people. Indeed, beyond “user-centered design” for which the user is present all along the design process, usage and experimentation may take different forms and cover different issues. This workshop aims at inventorying, deepening, exploring concepts such as Usage, Activities, user/customer Behaviors, user/customer Preferences, Experience, Agents/stakeholders collaborations and corresponding emerging design methods and industrial issues. For considering these new user/customer dimensions within the design process, new forms of experimentations must also be considered. The workshop is open to researchers having started exploration in this domain as well as to those willing to debate. As the effects of overpopulation, overconsumption, and pollution are more and more evident worldwide, sustainable design is becoming one of the great challenges and opportunities for this research community. Designing sustainable products, production systems, and consumption environments is about ensuring that the producers can be economically feasible and successful in both the short and long term, that the resources and health of the environment are preserved locally and globally for future generations, and that the people involved in and affected by the system have ample opportunities to lead healthy and prosperous lives. Design research commonly stays within the boundaries of how a designer can meet and exceed product requirements through creative innovation, iteration, optimization, product platforming, and information management. Viewing the product as a complex system helps us look beyond satisfying product requirements, and instead understand what drives those requirements, who cares, and how the perspectives and behaviors of all those involved with the product may influence other parts of the system throughout the product’s lifecycle. Those entangled in the product system include not only designers, but also managers, producers, sellers, consumers, bystanders, and policymakers – each having his or her own perspectives and objectives. Systems thinking can broaden the perspectives of design researchers and practitioners to better address these grand sustainability challenges. This workshop explores the state-of-the-art in systems thinking and sustainability assessment, drawing from the experiences of the participants and organizers to better understand how to integrate these areas into the design research community and design practice. The agenda includes interactive exercises designed to provoke fun, thoughtful discussions and examine the roles of stakeholders in sustainable design, interspersed with short presentations by the facilitators on the state-of-the-art and their personal experiences in systems thinking, environmental sustainability, and social sustainability. Participants will leave with a stronger understanding of how to think holistically about sustainable design to further their research and build collaborations in the community. In 2015 a new Special Interest Group (SIG) in the area of Design for Additive Manufacturing (DfAM) was formed. Additive manufacturing is receiving increased interest in today’s innovation-driven economy all around the world. Much of the emphasis has centered previously on AM process development, materials and software to support the processes. Design for AM extends this focus to include new design models, methods, guidelines, processes and tools focused on the link between designing for AM and understanding and characterizing AM processes and materials such that they can be better exploited. This research will enable designers to better design for AM to realize the advantages of creating parts with unique geometry, that mix and place materials where needed and print or integrate electronics and other components to achieve highly integrated functions. We will be able to better represent, analyze and optimize designs for AM such as to drive new applications and potentially new AM processes. We also aim to educate the next-generation of designers in DfAM. The DfAM SIG Workshop provides a forum to bring interested researchers, practitioners and educators together internationally to discuss these goals, share experience and push the state-of-art forward. The workshop will include keynote talks and discussion to determine the current priorities in this area focusing on DfAM guidelines, methods and tools. All are welcome! We are now in the era of creating experiences, and no more in the age of artifacts and products. Experience unites people and things, which are no longer separate entities. Product design and information design are transforming into experience design, where material and immaterial properties are fused into one in the user and experience, which has never been experienced up to now is created. Shape, light, colors, textures, tactile features, sound and smell, all these are combined and create a new experience. Manufacturing is also part of this paradigm shift, where products are shaped in a very new way. Traditional manufacturing and more modern AM3D meet design through new shapes and novel and unforeseeable materiality. In the very near future, personal fabrication brings everyone to be a maker of his or her own experiences. And this is in itself an emotion. Intro short talks on Emotion in the Era of Creating Experience, will be followed by extensive discussion on product experience metrics. Participants are invited to present showcase products and experiences through sketches, storyboards, videos and tangible prototypes. With increasing importance and scope of the decision, a methodological support of the decision situation and the corresponding decision making process is important. By using systematic evaluation methods, an objective basis for decision making can be designed to minimize the risks of wrong decisions. This is especially relevant for decisions in the product development process, as wrong decisions often lead to very high subsequent costs. The basic principle is that with increasing complexity Decision situations are characterised by complex steps and consequences are getting harder to anticipate. Tthis leads to the need to support decision making processes methodically. On the previous DM SIG workshops a need for a computer assistance tool (e.g. an app) has been highlighted. Over the last years, the eco-design knowledge area evolved from the consideration of environmental issues only, to a sustainability approach in which social, economic and environmental issues are simultaneously taken into account in a broader systems’ perspective. In this workshop, the main trends, concepts and approaches leading the transition from eco-design to sustainable design will be discussed based on recent research and industrial cases, to enable a reflection of the benefits and challenges of the transition, from theoretical and empirical points of view. The participants will engage in active discussions on how the social dimension of Sustainable Design can be integrated into the strategic, tactical and operational levels of an organization, based on the concepts of social LCA and social innovation. The ultimate goal of the workshop is to engage the Design Society community in the discussion of Sustainable Design, and build a common understanding of how the change of paradigm from eco-design to Sustainable Design can influence future research and practitioners. Engineering projects are becoming evermore complex and highly distributed, and are thus increasingly reliant on digital tools for their effective execution. These digital tools include: computer models (e.g. CAD, FEA & CFD); reports, presentations and working files; and electronic communications (e.g. email and messenger). Such is the prevalence and reliance of engineering projects on digital tools that project teams and project managers are now faced with a new and significant challenge. This challenge concerns monitoring, analysing and interpreting (making sense) of the vast amount of information generated across engineering projects. Further, this challenge pertains to both the management of live projects and learning from past projects. In response to this, innovative analysis methods, visualisations and dashboards are needed to provide specific and timely information essential to a project manager’s tasks and objectives. Ideally, this should occur through automatic extraction from existing digital assets in order to both inform and integrate with current tool chains, and to provide supplementary information without active effort from the project manager. This workshop comprises two activities through which researchers and practitioners can begin to explore these challenges. Drawing on the insights of the participants and organisers, we will evaluate and discuss the factors within projects that have the biggest effect on eventual performance, success and failure. We will also discuss how (and if) these vital factors are measured, monitored and understood in industry today. Through the first activity, the organisers and participants will gain a deeper understanding of: the critical performance-influencing factors of engineering projects; if and how these are monitored; and, the vital gaps that must be addressed through research. Through the second activity, the organisers and participants will explore design concepts for visualising and providing information to engineers and project managers, to provide the right information at the right time in the right amount and in the right format. Remanufacturing is an important component of a resource efficient manufacturing industry. Remanufacture involves dismantling a product, restoration and replacement of components and testing of the individual parts and whole product to ensure that it is within its original design specifications. The performance after remanufacture is expected to be the same as the original performance specification and the remanufactured product generally offers a warranty. By keeping components and their embodied material in use for longer, significant environmental benefits can be realised. Remanufacturing also provides opportunities for the creation of highly skilled jobs and economic growth. Free for this ERN Workshop (Travel expense needs to be borne by each participant.) However if you want to participate at DESIGN 2016 conference events also, conference registration fee applies. Registration is needed by 6th of May, 2016. Send email with the subject being “Registration for ERN-workshop in Dubrovnik” to Maria Eriksson (maria.eriksson@liu.se), with your name, affiliation, and email address. However, registration is possible, if seats are still available on the day, at the workshop room. A major concern of product development is the improvement of humans quality of life. On the one hand, it is important to capture and describe human beeings and their entire needs and preferences. On the other hand, theese insights of humans as users need to be integrated into the product development process. The subject‘s relevance to product development is reflected in the increasing researching and developing of methods and concepts within this field, which also increasingly refer to approaches from other human-oriented research disciplines. The aim of the workshop is to identify typical methods and, furthermore, to develop a framework for methods of user participation and user integration. Such a framework is intended not only to reflect the state of the art, but also helping to identify research needs and to initialize research collaborations. DESIGN AND TECHNOSCIENCE – WHAT’S UP WITH RESPONSIBILITY? INDUSTRY ADOPTION OF DESIGN METHODS: WHERE IS THE CRISIS? Using network analysis for investigating complex social systems has gained increasing scientific support in many research disciplines. In this talk, we present a conceptual framework of multidimensional network analysis (MNA) for modeling customer preferences in supporting engineering design decisions. In the proposed Multidimensional Customer-Product Network (MCPN), customer-product interactions are viewed as a socio-technical system where separate entities of “customers” and “products” are simultaneously modeled, and multiple types of relations, such as consideration and purchase, product associations, and customer social connections are considered. Beyond the traditional descriptive analysis that examines the network structure characteristics, we employ the Exponential Random Graph Model (ERGM) as a unified statistical inference framework to interpret complex preference decisions. Our approach broadens the traditional utility-based logit models by considering dependency among complex customer-product relations, including the similarity of associated products, “irrationality” of customers induced by social influence, nested multi-choice decisions, and correlated attributes of customers and products. Examples on customer vehicle preferences are presented to illustrate the benefits of network approach. Large-Scale Complex Engineered Systems (LaCES) are used by billions of people around the world each day. These systems include aerospace (e.g., aircraft, space systems); large maritime (e.g., submarines, aircraft carriers); nuclear (e.g., power plants); and major civil infrastructure systems (e.g., water supply systems, electric power grids, healthcare systems, and air and ground transportation systems). The design of such systems has enabled capabilities that have transformed the way of life in much of the world. We rely on LaCES to meet many basic local and national needs, such as the provision of essential services, the protection from natural and human dangers, and the advancement of infrastructure capabilities to address population growth and environmental sustainability. At an individual person and family scale, our lives cannot be easily separated from the growing technological systems upon which we rely. How might we advance large- scale design to better address large-scale complex engineered systems? These systems present several unique challenges for the engineering designer, as well as the systems engineer. Challenges include extraordinary costs and risks, the inability to fully test and evaluate the complete system until it is nearly operational, and a significant magnitude of inherent couplings between engineering and non-engineering disciplines and components. The considerations beyond engineering are extensive: economics, policy, urban planning, education, culture, and many others. Thus, the design and development of very large systems are regularly prone to crippling time and cost overruns, largely due to the unintended consequences arising from unknown or unexpected interactions. The methods, processes, and tools used by practitioners have not kept pace with the growing complexity of LaCES. For the designer, the challenges and complexities exist in creating the engineered system as well as in working with the large, geographically-dispersed organizational system required to complete the system design. When complete, LaCES rest on the ingenuity of thousands of engineers and scientists whose work is proximate in neither space nor time. The system design is at a scale that is too grand for any one person or small team to fully comprehend. The effective “designer” of a large-scale, complex engineered system is a dispersed team of thousands that never completely convenes. Indeed, a complex system is now required in order to design and produce a complex engineered system, where the elements of both draw just as heavily from social fields as they do from technical fields. The true challenge of advancing the design of LaCES will depend on the contributions of an extremely broad and diverse number of disciplines from technical and social fields. Though designing at large-scale is met with great challenge, it also presents a great opportunity for design to have lasting and highly positive societal impact. Innovative system design in large-scale can have transformative impacts as we better harness the collective wisdom of the large-scale and diversely trained human system the design relies upon and as we thoughtfully consider the large-scale and diverse needs of the human system that the design serves. „Quia parvus error in principio magnus est in fine, secundum philosophum ...“ (A small error at the outset can lead to great errors in the final conclusions, as the Philosopher says ...). (Thomas de Aquinas 1255). Today, nearby every discipline has been converted into a science. The borderlines between the pure or epistemic sciences on the one hand, and the action sciences or applied science on the other hand have become fuzzy. Thus all disciplines have more or less theoretical, empirical and practical issues as well. Any given science can act as an ancillary discipline to any other science.Whilst practical design seems to be only a matter of technology, the study of possibly alternative design is a task for the technological sciences. Yet today, design is donein a scientific and computer aided way as never before. The thinking in alternatives requires that the practical design has become also a scientific, not only a practical task. “The technological sciences establish the cognitive requirements for technological innovation and the application of technological knowledge, and provide us with a basis for considering the impact and repercussions of technology.” Here we call the set of technological sciences Technoscience. We speak about Engineering and Technology as multi-facetted disciplines. With this definition of acatech (2012) in mind, we take a look on Design Thinking and the Modus 2 of science, according to Helga Novotny (2203). The Modus 2 of science integrates knowledge about theoretical and empirical conditions, knowledge about phenomena and facts as well as knowledge about norms, values and goals. Together with knowledge about technical practice and knowledge how to shape and design, we have knowledge that we cannot formalize and model completely. This fact has already influenced the engineering design methodologies and tools in practice. One of the approaches was the so called Design Thinking. It reflects the conditions and presuppositions in which contexts of categories and mind styles design is done in concrete situations, groups, and interests. Together with this mode 2 in science the question of responsibility arises. Beside the respect of social and legal issues we can state a close coupling between the responsibility in Technoscience and the responsibility in technology itself and its practices. If it is possible to reflect about the conditions of design, the designers are responsible for the quality of their constructions on the one hand and for suitable institutions in which they can work in a responsible way on the other hand. Speaker: Kevin Otto, Adjunct Professor of Mechanical Engineering, Aalto University Helsinki Finland, and CEO of Robust Systems and Strategy LLC, USA, a systems design consultancy. Former Associate Professor at Singapore University of Technology and Design and also at the Massachusetts Institute of Technology. As design researchers, one service that our community provides is to develop new methods and tools that are better in some scientific sense. Given that, how do you get companies to change what they are doing and use your better method? Prof. Otto has had years of experience working with companies large and small on product design and engineering opportunities, and has ample success and failures at deploying design research methods. Overall, design research transfer into practice follows the standard theory on technology adoption, an S-curve in time from incubation to trials to crossing the chasm into widespread adoption. This leaves open the question on how to accelerate this process. What are useful channels, papers, books, software, speaking events, webpages, etc.? A theory of design research adoption will be progressively presented, underscoring that the efficacy of your research as better or worse is irrelevant, as are the communication channels used. Instead, companies ought be viewed as learning organizations subject to competitive pressure as periodic impulses of difficulties. Crises. Each of these crisis events are opportunities for design researchers to insert new and better methods into practice. Crises and only crises drive corporate adoption of design research. Prof. Otto will share experiences and offer recommendations. The recent rise in digital fabrication technologies and materials, including Additive Manufacturing (AM), may be the best thing that has ever happened to increase the impact of computational design methods and tools. Designers struggle to design parts by hand that take full advantage of the variety of complex shapes that are now possible and the new and different material combinations. From a computational design point of view, finally we can more readily fabricate the complex, customized parts that we can compute. But it goes further than this and opens new avenues for fabricating novel composite materials and active elements. Design is changing. New challenges need to be addressed including defining representations, searching vast design spaces, and characterizing AM processes, new materials and their combinations. Highlights of our research on novel computational design methods for automatically generating, optimizing and directly fabricating structural and mechanical systems are discussed focusing on multi-material printing and end-use, functional parts rather than prototypes alone. This includes testing and characterization of polymer-based AM processes and integration of resulting models in novel computational design and optimization methods. Cutting-edge applications investigated include lattice structures, customized consumer products, biomedical devices and robotics. The floor (the audience) will then be asked to question the proposers and opposers. A vote will then be taken to see which side has “won” the debate. The forum will be an opportunity for PhD students to discuss their research questions and ideas with their peers and experienced researchers in order to support their research. Small discussion groups will be organised in which individual research topics are presented to and discussed within the group. Discussion groups will consist of 5-6 PhD students and 1-2 experts. Personal questions/problems or issues you want feedback on e.g. The PhD Forum is aimed at PhD students. To facilitate meaningful discussion it is essential that potential participants should already have defined their PhD research topic, undertaken an initial literature study and formulated aims and objectives.